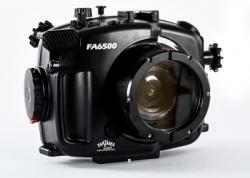 Fantasea and AOI Introduces the UWL-400F Wide Angle Lens - Available now! 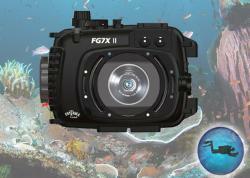 May, 2018 - The Fantasea-AOI UWL-400F is a SUPER SHARP quality "wet" wide angle conversion lens. Featuring a wide field of view and zero minimal focus distance, the UWL-400F produces breathtaking wide angle and close focus images that are super sharp corner-to-corner and great on the details. UWL-400F features an FOV of 120 degrees (when used with a 25mm lens), a magnification of 0.50X, a zero minimal focus distance and exceptional overall sharpness. It is perfect for a wide variety of compositions, including seascapes, divers, ship wrecks, schools of fish and close focus portraits, all without having to move further away from the subject, thereby still taking full advantage of water clarity and artificial lighting. Images produced with this lens are sharp corner-to-corner with minimal distortion. The AR (anti-reflection) coating on all glass elements assists in avoiding lens flare from the sun or artificial light sources. Lens wings feature an improved design and can be rotated anytime underwater according to image composition without need of any tools. Vertical and horizontal images can be easily captured without having the sun or strobes reflecting on the dome and interfering with crystal clear images. The lens features a 52mm thread and can be mounted directly on any lens port with a 52mm thread or on lens ports featuring a different thread, by using a compatible adaptor. Its design allows for use with most lens holders, adaptors, bayonet mount converters, flip mounts and quick release adaptors. The EyeDaptor M67-F52 lens adaptor is included in the box and allows mounting the lens on housings featuring a 67mm threaded lens port. Lens comes with a Neoprene dome cover, rear lens cap, and a quality padded carrying case for safe storage and transportation. 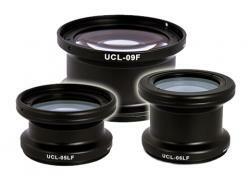 A secure line ensures that the lens is safely secured to the system at all times. The EyeDaptor M67-F52 lens adaptor included allows for mounting the lens on housings featuring a 67mm threaded lens port. The microfiber cloth can be used to clean the lens prior installation, thereby also reducing lens flare, often caused by light hitting spots on the lens.